An old-timey – 1906 – photo of the Poonamalie lockstation on the Rideau Canal in Canada. 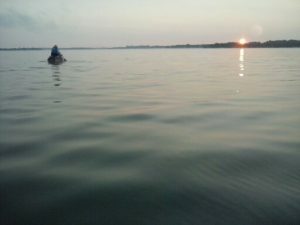 That is, the Camino de Santiago is often so crowded that it’s hard to get a thought in “edgewise.” But there on the Rideau water system, there were plenty of times when all I had to do was paddle, and think. Think a lot about my aches and pains – and how mind-numbingly boring it is to paddle a canoe hour after hour. But also, just to think – period – without all the distractions of modern life. For more on that idea see St. James, Steinbeck, and sluts. The book added that all true ritual “calls for discipline, patience, perseverance, leading to the discovery of the self within.” More to the point, the book said a pilgrimage – like an 11-and-a-half-day canoe trip on Rideau – “may be described as a ritual on the move.” Further, the book said through “the raw experience of hunger, cold, lack of sleep,” we can quite often find a sense of our fragility as “mere human beings.” Finally, the book said such a pilgrimage can be “one of the most chastening, but also one of the most liberating” of personal experiences. All of which seems to have applied more to our “Rideau adventure” than the more popular and better-known method of pilgrimage on the Camino de Santiago. Which is one way of saying there weren’t that many other canoeists or kayakers on the Rideau. (A necessity for “finding yourself?”) In fact I can only remember one, the lady kayaker shown below, portaging – carrying her kayak – at the Burritt’s Rapids lock station. Whereas my brother and I paid extra to take our canoes through the locks, this younger lady chose to do it the “hard way.” She’d carry her kayak on one trip – from one end of the lock station to the other – then go back and get all her gear, stacked what seemed a mile high on her backpack. The point being – in case I’m being too subtle – that the dearth of fellow paddlers meant there was plenty of time “for day-dreaming or even, God help us, for thought.” Or self-discovery. The upper image is courtesy of Rideau Canal – Wikipedia. The caption: “Poonahmalee, on the Rideau River, near Smith Falls, Ontario – October 1906.” See also Poonamalie … Rideau Canal. 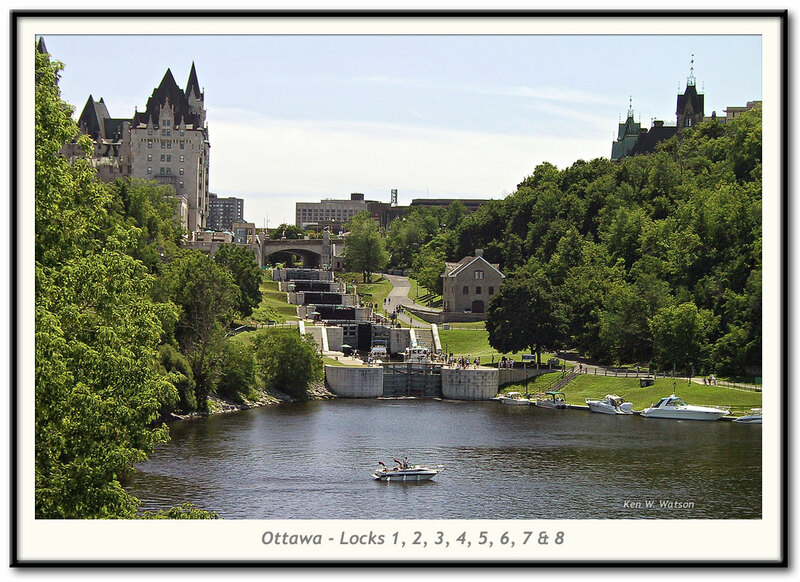 The image below the upper image – of the “last eight locks” near downtown Ottawa – is courtesy of Rideau Canal – Rideau Canal World Heritage Site, Ontario. Portions of the text and/or images were gleaned from my companion blog. 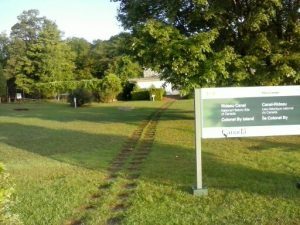 The most recent blog post was The “Rideau Adventure” – An Overview. I also previewed this latest pilgrimage in Next adventure: Paddling the Rideau “Canal,” and “Naked Lady” – on the Rideau Canal? The lower image: My photo of a lady kayaker, portaging at the Burritt’s Rapids lock station. This entry was posted in Pilgrimage on September 12, 2018 by dorscribe@aol.com.